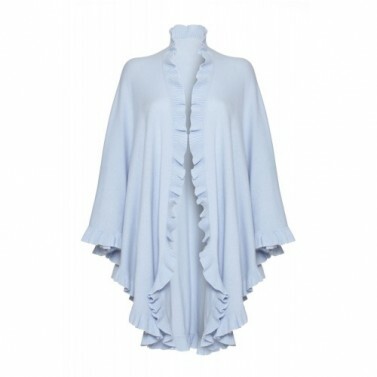 Dress up in style for the evening with this elegant 100% cashmere cape. In luxurious pure cashmere and in an elegant and timeless pale blue colour, this knitted cape with a full frill trim is versatile, warm and incredibly fashionable. 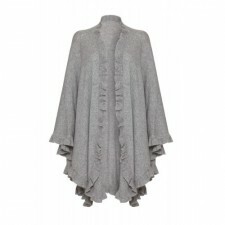 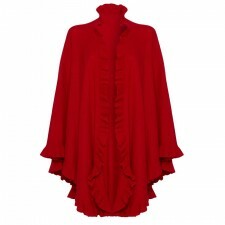 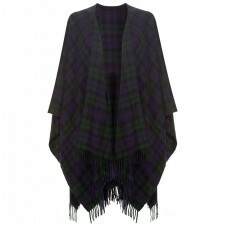 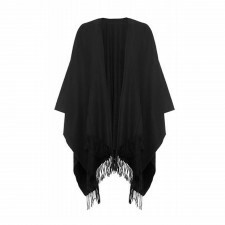 Perfect to wear to any outdoor event for a touch of warmth, this frilly cashmere cape sits over your shoulders and upper body for a touch of warmth and a classic look.